The domestic Passenger Vehicle (PV) sales witnessed one of its better months during March as the industry bounced back and ended FY18-19 on a good note. We take a closer look at the numbers and figures of the top-performing brands. Maruti Suzuki retains its top spot on the sales chart, with a healthy market share of 50.5 per cent. Selling a total of 1,45,031 units in the month, the homegrown carmaker witnessed a surge in sales as it sold 8,119 more units over the previous month. Further, the top-six selling models in the month also belong to the Manesar-based carmaker. However, what's interesting here is that its best-selling model for months or even years, the Alto, has been dethroned from its top spot by the Dzire (19,935 units sold). The two most probable causes can be that either Maruti is focussing on the Alto's successor which is due to make its debut soon or the fact that Maruti Suzuki cut its production by about 21 per cent in March and the smaller models like the Alto witnessed significant volume reduction as a result. While models like the Swift and Alto witnessed a demand slump, underdogs like the Celerio went on to record five-digit sales (11,807 units). At 44,350 units, Hyundai witnessed a small growth over the previous month and continues to rule the second spot on the sales chart. It managed to sell 1,240 more units in March. The Creta and Elite i20 led the pack, being the only two models to manage five-digit sales figures (11,448 & 12,172 units, respectively). After witnessing a slump in the previous month, the Santro regained its numbers by selling 8,280 units during the month. The Elite i20 remained the top-selling Hyundai model, followed by the Creta. At 25,982 units, Mahindra continues to improve steadily with its numbers bettered further in March. During the month, the homegrown carmaker sold 1,462 more units than the preceding month. 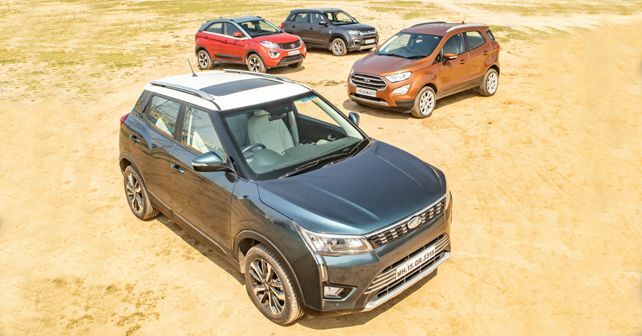 Despite its recent arrival, the XUV300 is proving itself to be a good sales driver for Mahindra as it has already become the third-highest selling model in the Mahindra model line-up, with 4,742 units. The Bolero and Scorpio continue to hold the top two spots, respectively, selling a combined total of 13,452 units in March. While the above-mentioned carmakers witnessed an increase in sales, Tata Motors becomes an exception in the group of top-performers as it saw a downward movement, selling 17,810 units in March, 300 less than the preceding month. Despite lower demand, the Tiago remained the top-selling model with 6,884 units shifted during the month. Further, the Harrier continues to gain steadily, becoming the third highest-selling model with 2,492 units. As before, figures for the Nexon remained strong with an appreciable 5,616 units sold. After some serious loss of ground in February, Honda bounced back remarkably in March by shifting 17,202 units, a surge of 3,675 units over the preceding month. The only reason for this upward movement is the arrival of the Civic, which sold 2,291 units, supported by minor demand gains for the Amaze, City and the WR-V. Sales of the slow-moving CR-V almost doubled in March, shifting 104 units as compared to 59 in February.